Ingrown toenails can range from a simple annoyance to a crippling condition that can lead to infections and, sometimes, amputation. While you may be accustomed to the pain and discomfort of ingrown toenails, seeking medical evaluation and treatment are critical for alleviating your pain and preventing serious complications. 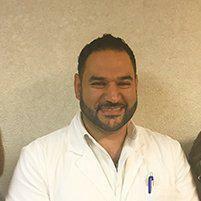 Dr. Paul Georges at Prime Foot and Ankle Care diagnoses and treats ingrown toenails for patients in the Lowell, Massachusetts area, including Chelmsford, Dracut, Tewksbury, Westford, Billerica, and Tyngsboro. When the nail of the toe grows into the flesh, it becomes ingrown. This is a very common complaint and can usually be treated at home. What are the signs and symptoms of an ingrown toenail? Typical symptoms of an ingrown toenail include pain or tenderness along the nail, redness near the nail, and swelling on top of the toe. If there are additional symptoms, or you notice something more aggressive such as pus draining or redness and swelling of more than just the tip of your toe, you might have an infection. If that’s the case, you should visit Dr. Paul Georges at Prime Foot and Ankle Care in Lowell, Massachusetts. Ingrown toenails can be the result of several different conditions. Who is at risk of developing ingrown toenails? Anybody can develop an ingrown toenail, but diabetics are at higher risk of complications from ingrown toenails due to poor blood flow and slow healing. Is medical treatment required for ingrown toenails? Some patients can treat their ingrown toenails at home while others require medical intervention. The best way to determine the right course of action is to schedule an examination with a qualified podiatrist, such as Dr. Georges. He can assess the condition and determine whether there’s a risk of serious complications. Dr. Georges believes in providing patients with the least invasive, most effective treatment possible, which means that he’ll eagerly teach you to care for your ingrown toenail at home if he believes it can be managed without medical intervention. Foot soaks and home foot care are often the only treatments required. In some cases, ingrown toenails are accompanied by infections that are too severe to heal with conservative treatment. In these cases, antibiotics may be prescribed or the nail may be removed to allow for healing. Seeking evaluation and treatment early can prevent the ingrown toenail from becoming serious.